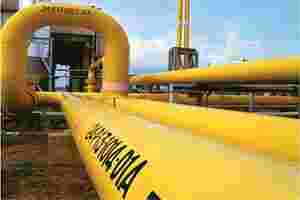 GAIL (India) Ltd on Monday announced that it has agreed to buy liquefied natural gas (LNG) amounting to 3.5 million tonnes per annum for over 20 years from Sabine Pass Liquefaction Llc, a subsidiary of US firm Cheniere Energy Partners LP. The supplies will start in 2017 and can be extended up to 10 years. However, there are still many years to go before GAIL reaps the benefits of this agreement, and the scenario could change during this period. Having said that, the deal appears to be positive for GAIL from the longer-term perspective. GAIL’s stock fell by 1.2% on Monday to ₹ 387 on a day when the benchmark BSE Sensex fell by 2%. In the short run, analysts are worried about GAIL’s earnings outlook for the next fiscal year. A meaningful improvement in domestic gas supply in the near future appears unlikely and that could adversely affect GAIL’s transmission volumes. The company is in the process of doubling its gas transmission capacity to 300 million standard cubic metres per day (mscmd) from 175 mscmd over the next two years. Since the outlook for an improvement in domestic gas supply is weak, the underutilization of the new expanded transmission network is a concern for GAIL in the near term. The company delivered a decent financial performance in the September quarter, helped by the performance of its petrochemicals and liquefied petroleum gas businesses. However, despite an improvement in the transmission volumes, the profitability of the transmission business was weak. Analysts expect GAIL’s transmission volumes to remain stable in this quarter, and subsidy burden to be sequentially higher on account higher under-recoveries (or losses on selling fuel below cost). With the under-recoveries for the current fiscal expected to be quite high, if the subsidy burden of upstream companies is higher than expected eventually, then needless to say, it would be a dampener for earnings growth. In a note to clients last week, analysts at India Infoline Ltd wrote, “We cut our FY13-14 earnings estimates by 10% and 8%, respectively, to factor in lower gas transmission volume and higher under-recoveries." The brokerage expects GAIL to report flattish earnings on a year-on-year basis in the next fiscal year.